When you are creating a report, you are actually creating a report template rather than creating report itself. Huh? You basically create a report template each time you select fields to report, add filters, and set your default period. All that is separating it from becoming a real template is saving it. 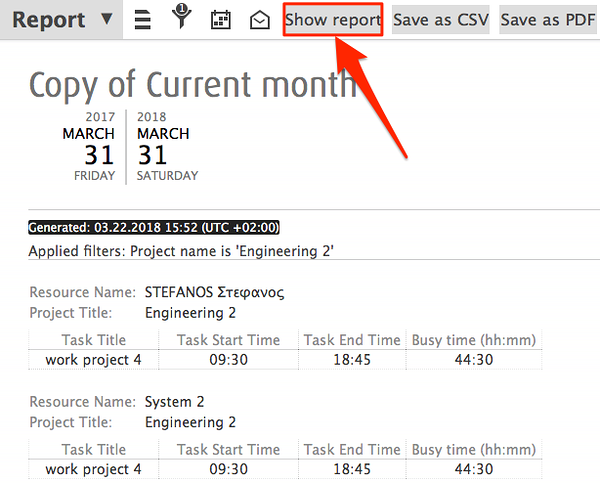 Once you click on save, you are able to reuse the report template every time you need to generate a report with the same combination of report fields. Which means that the actual reports are the things you generate once you click on 'Show report' or once you export it or print it out. The things you see in the list of reports are the templates. 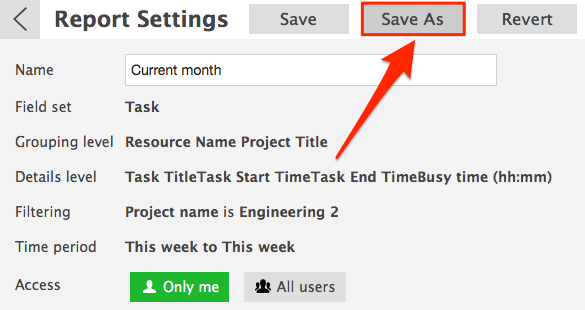 No additional steps to adding a new report are needed for adding a report template than clicking on save. You can also use an existing report template to generate a new report. You'll see the list of existing report templates. 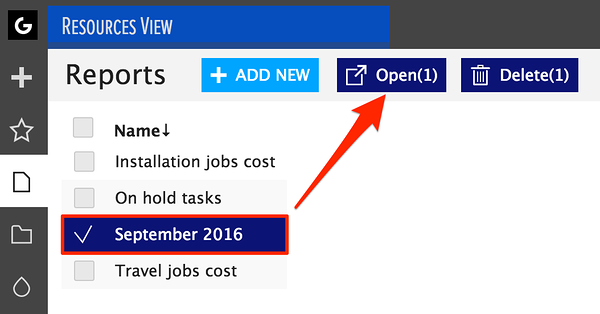 You can do that by clicking '+ ADD NEW' or selecting a report and clicking 'Open'. Click on 'Save as' to copy the report. Give the report a new title and/or edit other parameters. A new template is created. You'll see the template you have created in the list of reports. 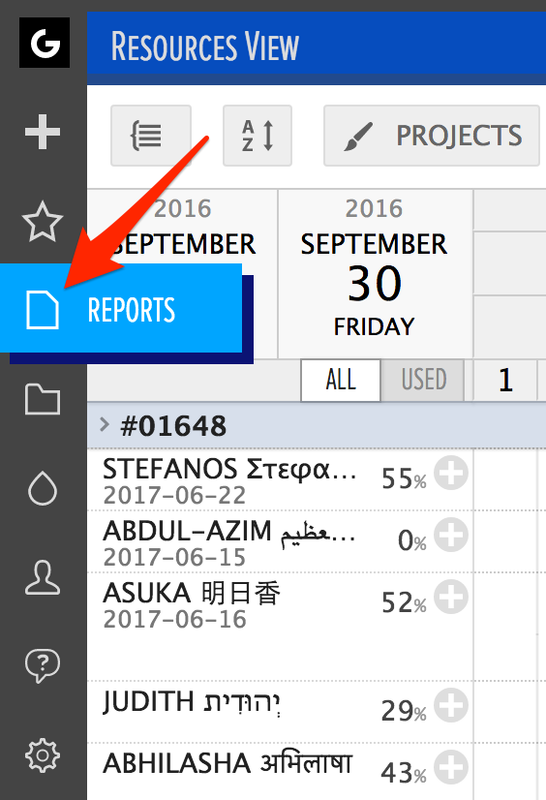 Instead of dragging and dropping the report fields you need each time for a new report, use the template you have already created and just edit the time period. 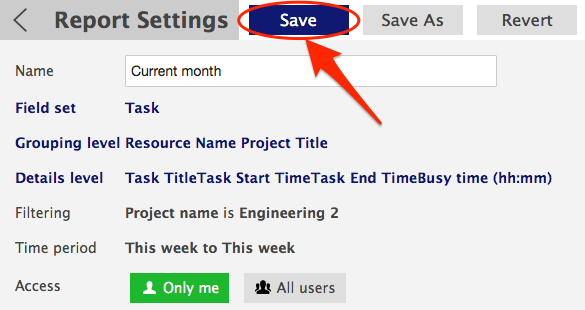 For example, if you need your weekly task progress report, just create a report template with the respective fields, and change the time period each time you need it. Better yet, set it to be an automatic report, and let Ganttic to the work for you. Did not find the answer to your question regarding report templates?